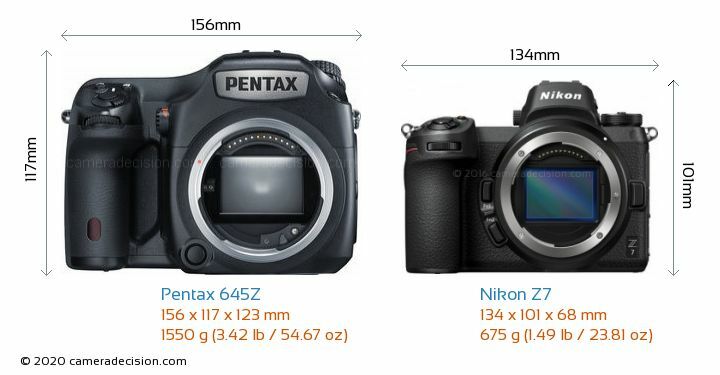 Below you can see the front view size comparison of Pentax 645Z and Nikon Z 7. 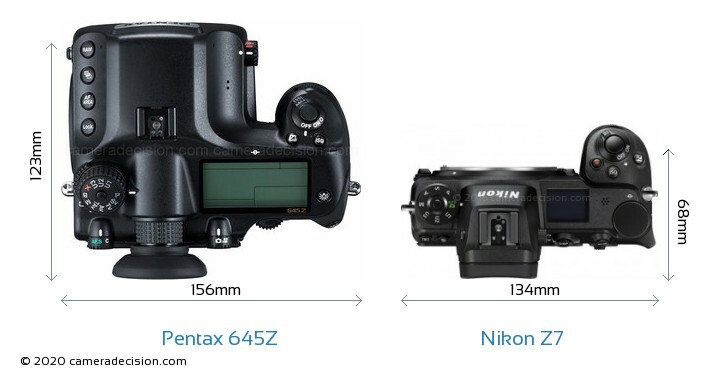 Nikon Z 7 is clearly the smaller of the two cameras. Its body is 22mm narrower, 16mm shorter and 55mm thinner than Pentax 645Z.